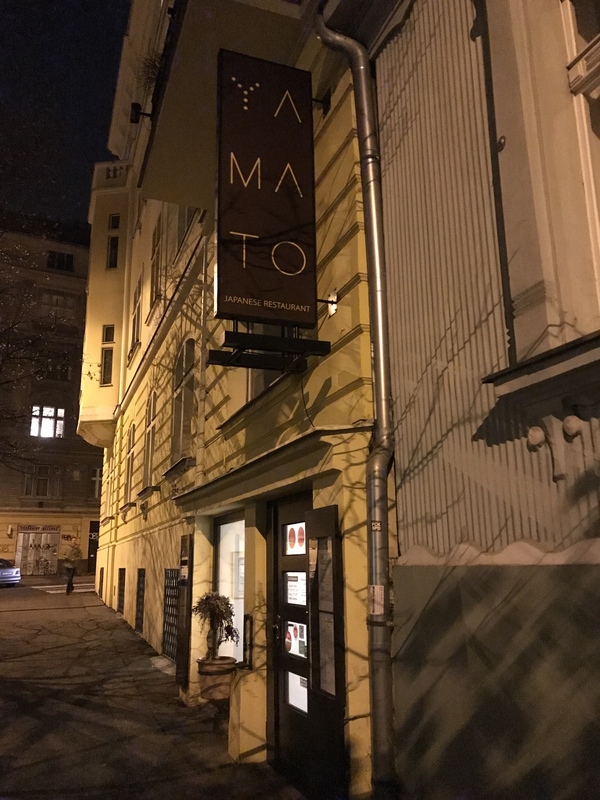 Yamato is hidden away on a quiet street not far from Jiřího z Poděbrad Metro station. It’s one of 25 restaurants in Prague that were awarded ‘L’ Assiette Michelin’ (the Michelin Plate). Above those there are six with a Bib Gourmand and two with a Michelin star. Our expectations, both in quality and price, were set accordingly. 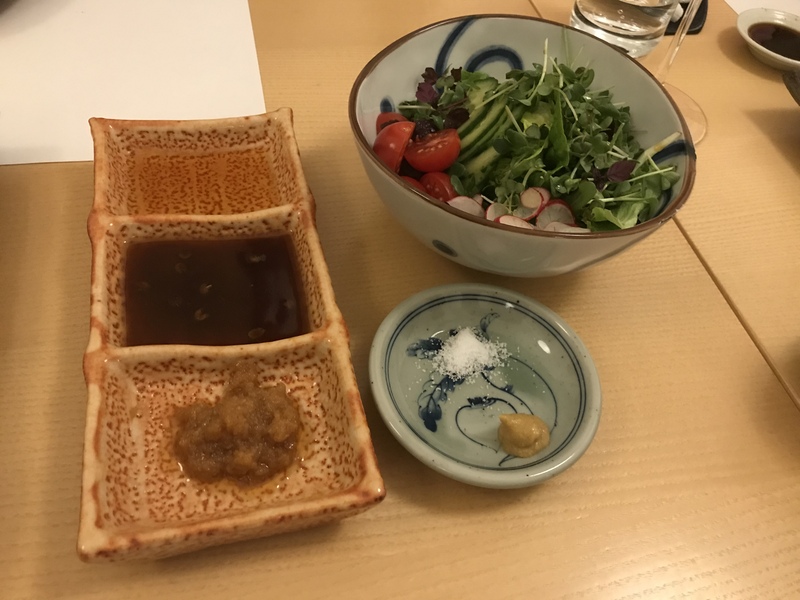 However, despite having eaten in numerous Japanese restaurants, both in and outside of Japan, I wouldn’t consider myself an expert on Japanese food – but I know what I like! The restaurant is quite small, bright and modern. Our waiter, wearing traditional Japanese clothing, was helpful and friendly. We asked, without much hope, for tap water but were advised that wasn’t possible – I realise that this is a high-end restaurant, but in the UK all restaurants that sell alcohol must offer free tap water. Our final bill for six people included 3 x 0.7l Mattoni @ 85Kč per bottle and 2 x 1l Solan de Cabras @ 130Kč – a total of 515Kč on water! I plan to run a survey of Prague restaurants and what they charge for water. 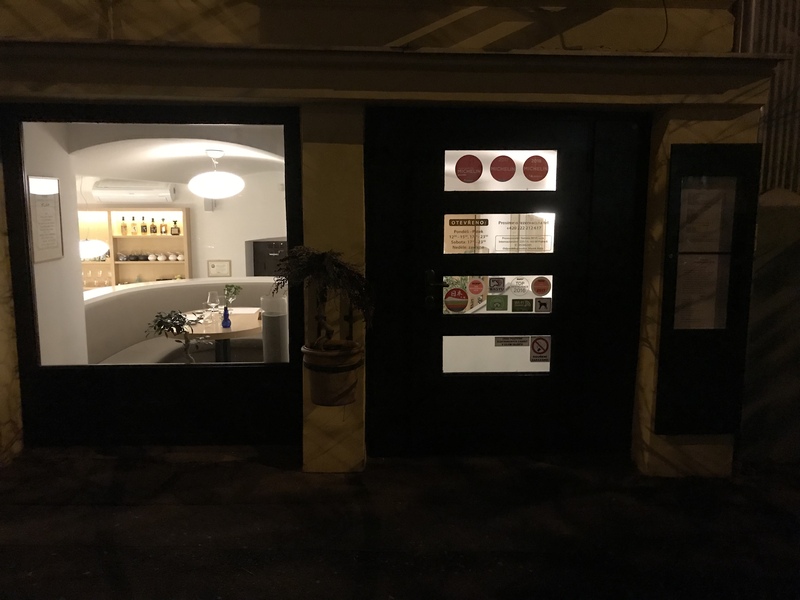 The best value wine on the wine list was an excellent Chablis Premier Cru Montee de Tonnerre @995Kč per bottle – you’d expect to pay more than half that in the shops and so the markup wasn’t bad at all. A Kirin 0.25l draft Japanese beer was 70Kč. 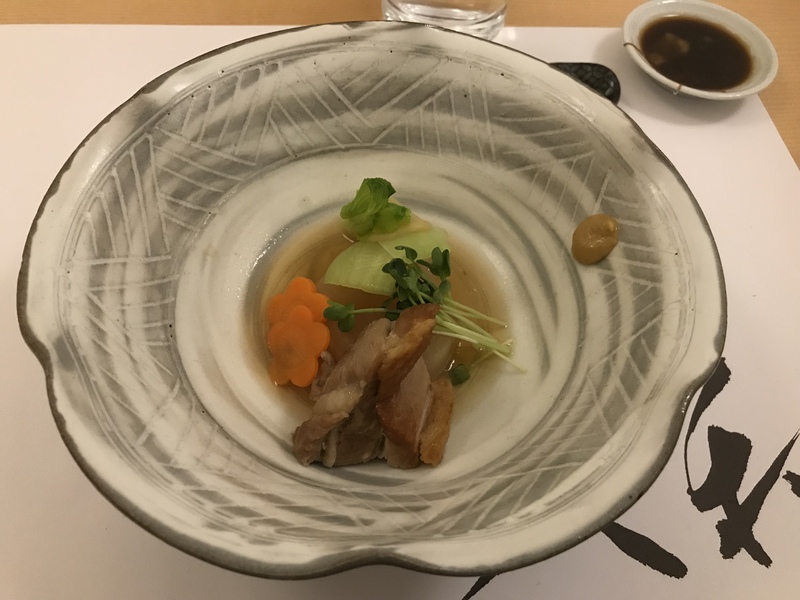 There was an à la carte menu, but we’d previously agreed that the group would have the dinner menu (1590Kč per person) – in Japan this would be called omakase or maybe kaiseki, although kaiseki is supposed to be only local produce and the fish and meat were obviously not local! Omakase is short for ‘omakase shimasu’, which roughly translates to ‘I trust you [the chef]’. The Yamato website reads: There is a Japanese saying: ‘Everyone should taste the real Japanese Kobe meat at least once in one’s lifetime’. 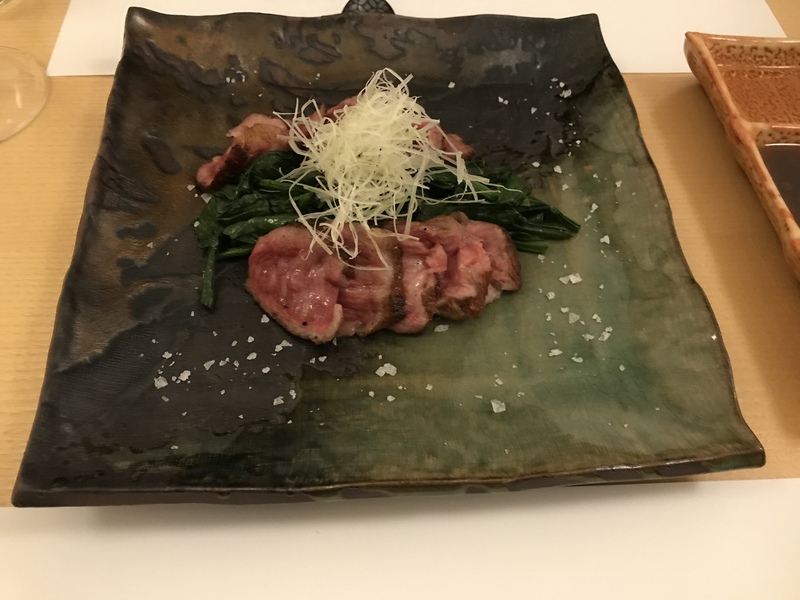 And it is the original Japanese ‘Kobe wagyu steak’ we are directly importing from Japan with its highest quality 5A+ that we would like to present to you. It is an incomparable beef characterized with its signature taste, tenderness, and juiciness. Well I’m not sure if there really is a traditional saying, but this was enough to convince us, foolishly with hindsight, to order the Kobe 100g with a 1800Kč supplement per couple. 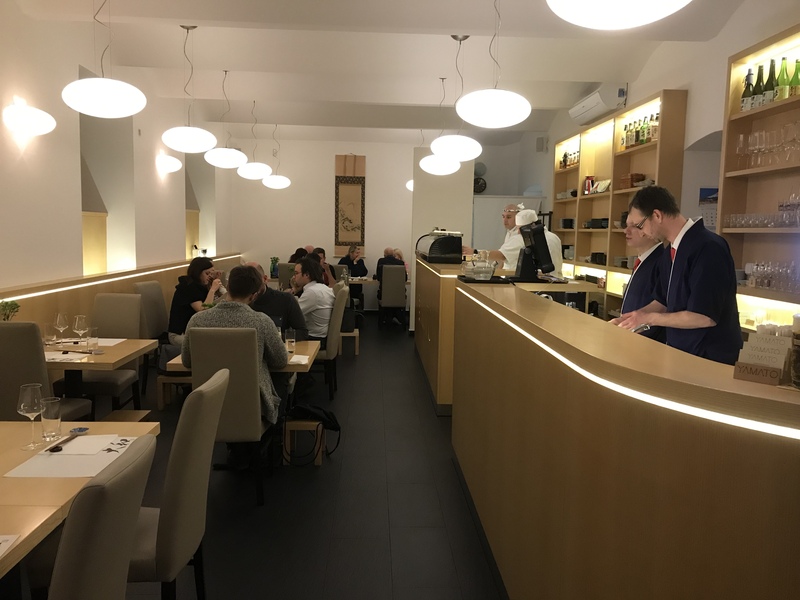 Now, when I think about it, how could 100g of anything really compete with an entire dinner for two with wine at, for example, the excellent SIA Chinese Restaurant in the centre of Prague? 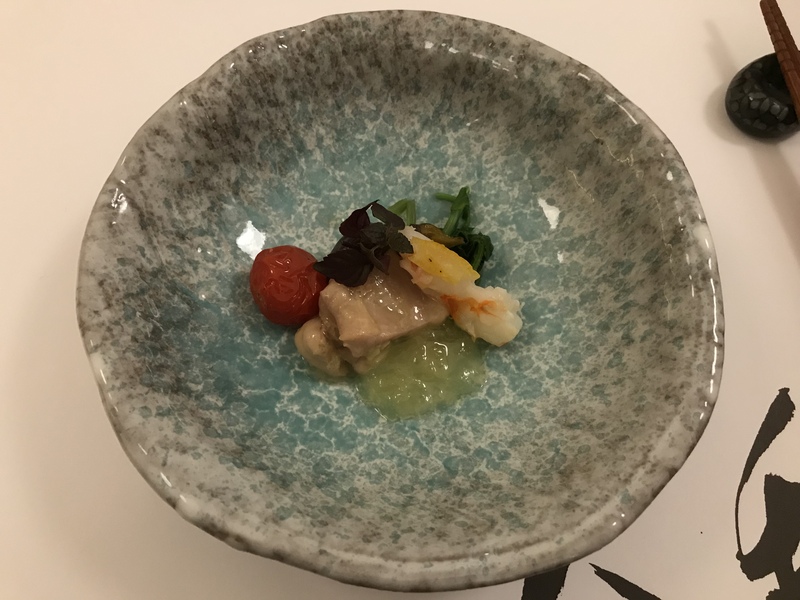 There wasn’t an amuse-bouche – each course arrived and our waiter gave a detailed description of each element on the plate. I, of course, can’t remember a thing he said – all I can say is that everything was absolutely delicious, including the kobe beef. My favourite was the selection of raw fish. I’ll just let the pictures do the talking. Inside the tiles were all black – it reminded me of the bathrooms in Crispin Glover’s Chateau outside of Prague. Everyone in our group really enjoyed every plate. But Yamato is expensive, even without the additional cost for kobe beef. I’m sure we would have enjoyed the meal just as much without the kobe. 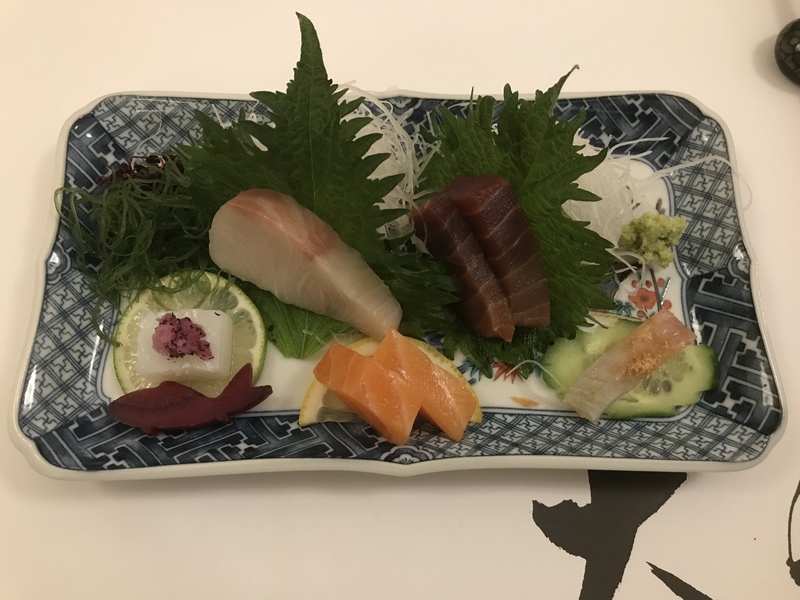 If you decide to visit, I’d recommend you skip the kobe – your wallet will thank me the next day.